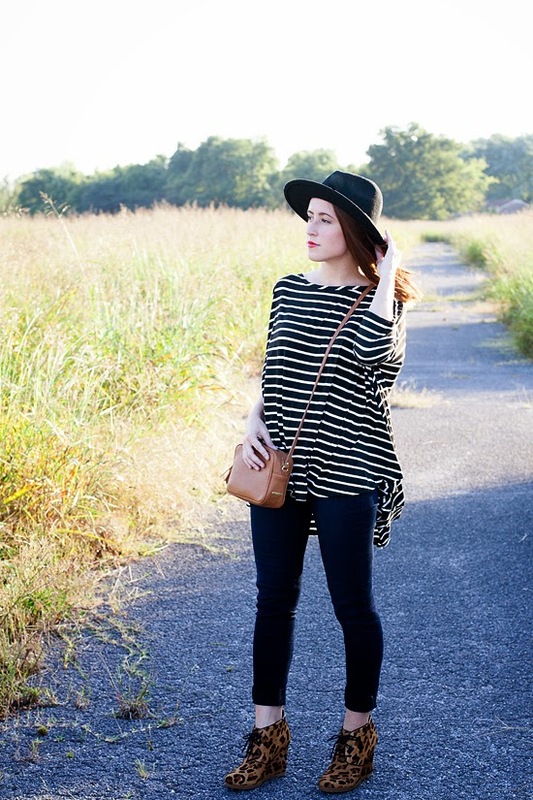 Does it get any better than stripes + leopard?? A shirt that doubles as a blanket is everything I am dreaming of and more! 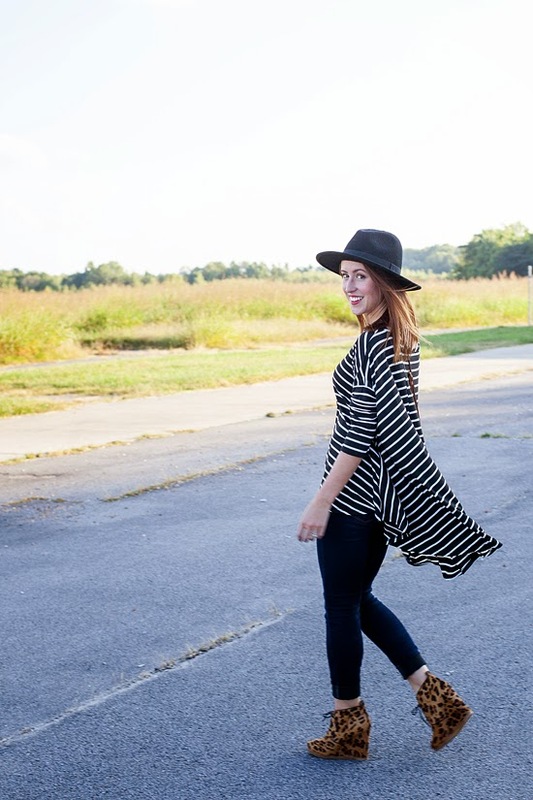 Wanting to get your hands on comfy and cute pieces to carry you through Fall and beyond? Check out Redesigned by Two - everyone gets 20% off their entire purchase with code "LOVETOSHOP", and one lucky duck will be taking home a $50 gift card! What a fun outfit!! 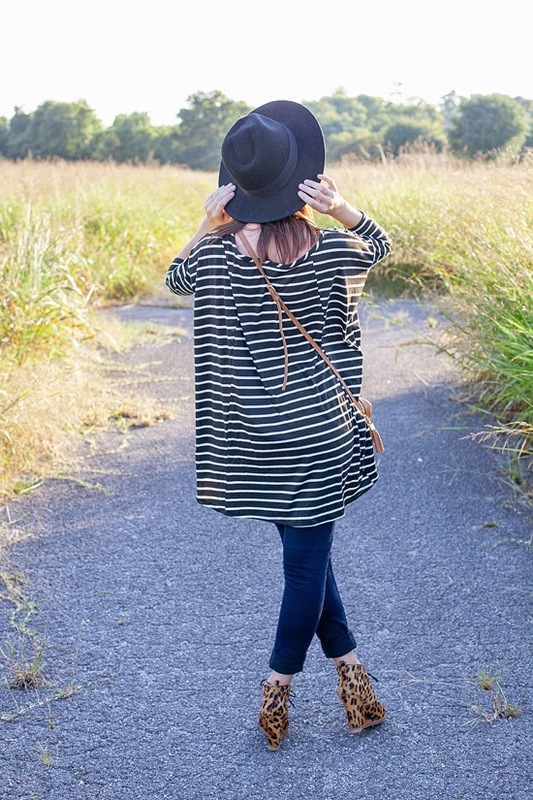 I love how comfy & chic this outfit look and those booties are hot! BTW, I host a weekly TBT Fashion link up and hope you will join up on Thursday. 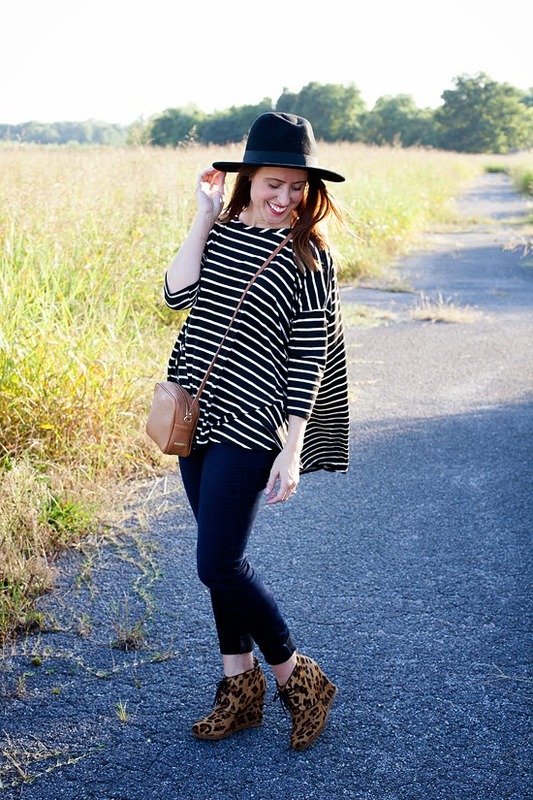 Beautiful top and hat! You look so lovely! Gorgeous--I think I may steal that motto for fall! Such a cute outfit, love it girl! 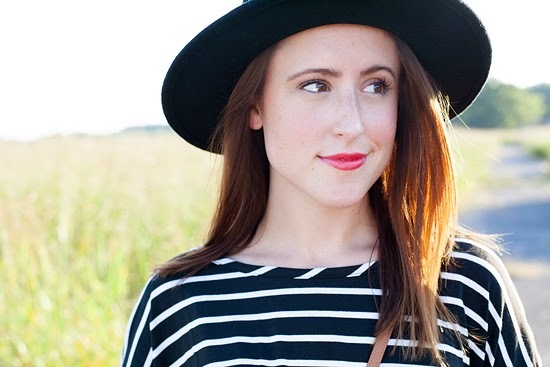 the foodie shirt is so cute, and of course the top you're wearing! love this giveaway! I love the http://redesignedbytwo.com/outerwear/product/117-tri-colored-sweater-cardigan . It's gorgeous! My favorite item is the http://redesignedbytwo.com/shirts/product/94-color-blocked-shirt-gathered-back. Love the High/Lo Dress in Grey Fuchsia! I love the gray and pink dress you wore earlier, but this top looks equally comfy and cute. Such a great pair with those leopard booties! love the gold locket necklace! Loving the pattern mixing in this look! That shirt is right up my alley! I love the Ivory/Mocha/Yellow colorblocked dress! The Ark & Co jacket is most definitely on my favorites list! I love the wood pallet shelves! I love the Ark and Co Jacket and the oversized tee that you are wearing. It looks so stylish yet comfortable. Thanks so much for this opportunity. as well as that gorgeous striped top you're wearing! 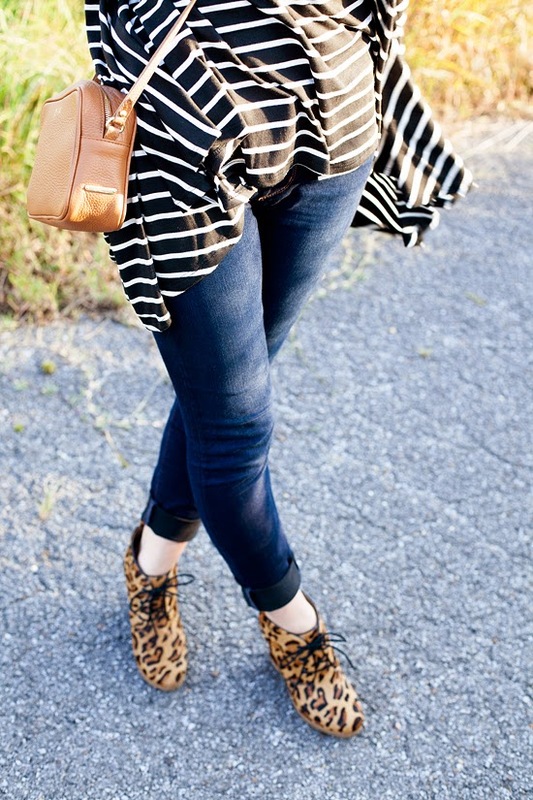 Love leopard + stripes! These wedges are adorable! I like the detail black dress! Thanks for the giveaway! 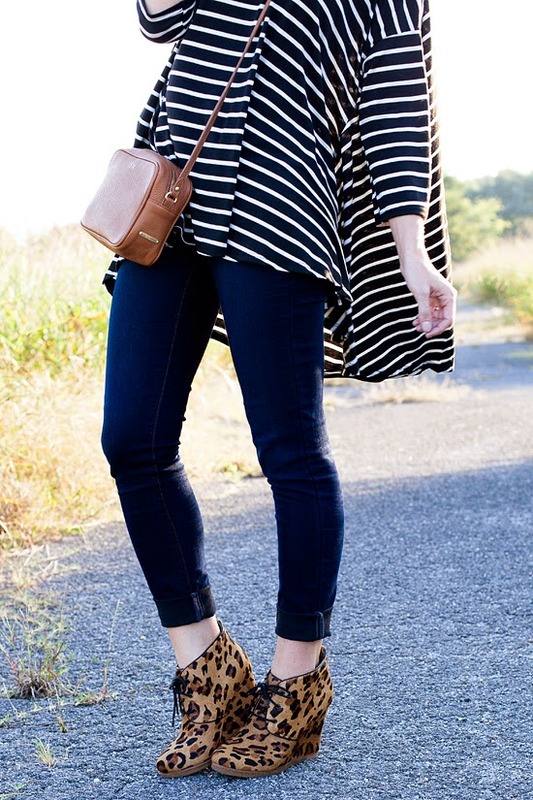 It does not get better than stripes and leopard. Absolutely love! Such a fun look. I love the Tri-Colored Cardigan!! The window jewelry hanger is so cute! I really like the "Next To" Sweater. Thanks! I like the Tri-Colored Cardigan!